aLOKSAK bags are resealable, element-proof storage bags featuring a dual hermetic seal; that means absolutely no water, air, dust or humidity permeates the closure. They are perfect for ensuring that your valuables and important documents stay dry and protected when travelling outdoors. This Multi Pack contains four individual aLOKSAK bags of different sizes. Each bag is transparent, flexible and puncture resistant. They remain pliable well below freezing, and are touch-screen compatible. aLOKSAK bags are the only reseal-able and completely waterproof, dust proof and humidity proof storage bags on the consumer market today. The materials, closure systems and manufacturing techniques used to fabricate aLOKSAK bags surpass even the most rigorous testing standards. Perfect for wallets, bank cards, passports, medications, toiletries, jewellery, cell phones, maps & documents, batteries, global positioning devices etc. 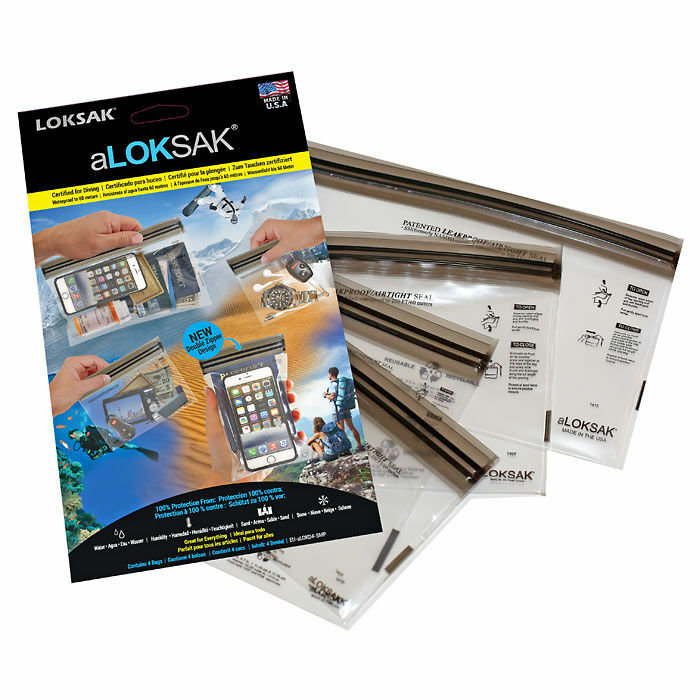 aLOKSAK Resealable Bags Multi Pack - Small is rated 5/5 based on 3 customer reviews. Bought these for my documents, emergency money etc for my bug out bag. They’re great, I can fit everything in to them which I need. The seal is almost vacuum tight when you spend time to squeeze the air out properly. I haven’t actually tried dunking anything in water but they are good quality plastic so they look like they would do the job. Think this pack is good value as you get a selection of sizes. Water tight plastic and very tough yet durable. 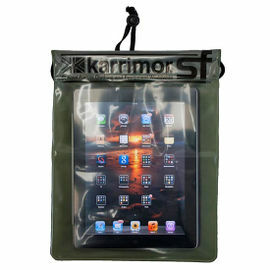 Always keeps my electronic gadget safe and dry if heavy rain or crossing the wild river. Very useful item as you can imagine. These Bags are a very good short term waterproof product. You can still use your phone whilst it is still in the bag. However it is Not something that will last for years but I found them easy to use and resealable. For a size guide it will carry an iPhone 6 or 7 plus.